Wehbba collaborates with ghetto tech legend DJ Deeon, to deliver another superlative EP on Drumcode. Since his debut on Drumcode in 2017, Brazil’s Wehbba has become one of the most dependable and impressive artists on the roster. Last year saw two standout EP’s ‘Eclipse’ and ‘Catarse’ drop on the imprint, alongside ‘Just’, his strong contribution to A-Sides Vol.7. He also made his mark playing Drumcode events at OFF Week, Resistance Ibiza and the much talked about double header in Manchester and Bristol when DC took over Warehouse Project and Motion respectively. A true master craftsman in the studio, his first contribution for 2019 is typically impressive. 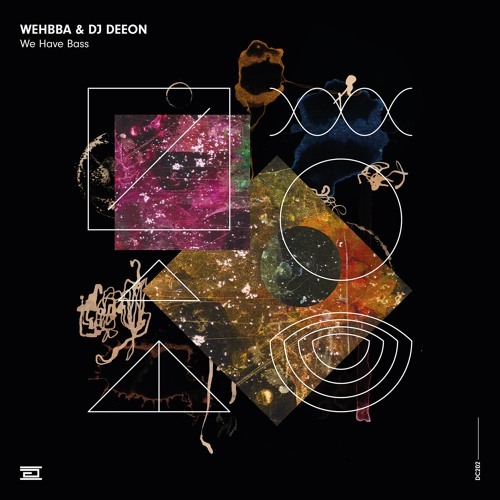 A huge inspiration to Wehbba since his nascent raver days, ghetto tech icon DJ Deeon contributes a fierce vocal to ‘We Have Bass’, after a serendipitous hook up in São Paulo. A peak career moment collaborating with one of his original heroes and the artist responsible for the classic ‘Freak Like Me’, the resulting percussive-heavy cut kicks like a rodeo bull. ‘Third Wave’ is coffee geek Wehbba’s homage to his favourite brew, constructing the production to mirror the experience of a caffeine fix, as a loopy trance-inducing groove leads to powerful synth stabs that are heavy on impact. ‘Steamroller’ is a stripped back slice of techno driven by the Brazilian’s Korg MS-20 and found form after it initially begun as a studio jam inspired by Richie Hawtin’s ‘Minus Orange’. A Jean-Michel Jarre fan stretching back to his childhood, ‘Another Mistake’ was conceived after Wehbba saw the French legend in concert last year and was subsequently able to meet him backstage through a mutual friend. While creating the track, the producer imagined Jarre playing the main layers of the hook on his famous Laser-harp, eliciting an almost celestial quality with the melody. This is a stirring slice of techno fit for stadiums. The EP ends with ‘Purge’, the artist’s stream-of-consciousness expression recorded in one-take and a beautiful beat-less way to conclude the work. finally. this at Beyer b2b Cirez D in LA was amazing. lasers coming on. SUPERSONIC CHOON ON AIR !!! Surfin' on fire over the: Third Wave.